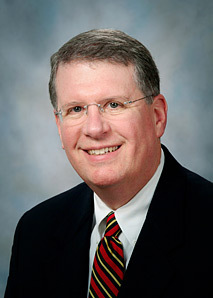 Dr. Weber is an internationally recognized surgeon and expert in the treatment of patients with head and neck cancer. He currently serves as Professor and Chairman of the Department of Head and Neck Surgery at The University of Texas M. D. Anderson Cancer Center in Houston, Texas, and is the recipient of the Hubert L. and Olive Stringer Distinguished Professorship in Cancer Research. Dr. Weber was awarded an M.D. from the University of Tennessee Health Science Center College of Medicine. After completing a surgery internship at the National Naval Medical Center in Bethesda, Maryland, Dr. Weber completed residencies in both surgery and otolaryngology at Baylor College of Medicine in Houston, Texas. He then received specialized training in head and neck surgical oncology, completing a two-year fellowship at M. D. Anderson Cancer Center. After he completed his training, Dr. Weber was appointed to the faculty of the Department of Head and Neck Surgery at M. D. Anderson, with a joint appointment to the Department of Otolaryngology at Baylor College of Medicine. He went on to serve as the Gabriel Tucker Professor and Vice Chair of the Department of Otolaryngology—Head and Neck Surgery at the Hospital of the University of Pennsylvania in Philadelphia, and later returned to M. D. Anderson to accept the post as Chairman. He holds a joint appointment as Professor in the Department of Radiation Oncology at M. D. Anderson and is an Adjunct Professor at Baylor College of Medicine. Committed to oncologic research, cancer prevention, and the education of future leaders in head and neck oncology, Dr. Weber is active in clinical research investigating various head and neck cancers, including cutaneous malignancies. He remains closely involved in the development and oversight of several training fellowships and in the clinical and laboratory training of young physician–scientists. He has been the honored guest lecturer and visiting professor at multiple institutions in the United States and internationally, has led numerous courses and seminars, and has presented and moderated more than 130 lectures, invited lectures, and panel discussions. He has served as President of the Society of University Otolaryngologists—Head and Neck Surgeons, the American Radium Society, and the American Head and Neck Society. Dr Weber was honored as the Distinguished Alumnus for both the University of Tennessee at Chattanooga, 1974 and The University of Tennessee Health Science Center, 1976. Dr. Weber is a prolific author in the field, having published more than 200 articles and invited articles, 40 book chapters, and two books focused on the basic science and the surgical and clinical treatment for head and neck cancer. Volumes include Head and Neck Cancer: Basic and Clinical Aspects (Kluwer Academic Publishers, The Netherlands, 1995) and Basal and Squamous Cell Skin Cancer of the Head and Neck (Williams & Wilkins, Philadelphia, 1996). He is the immediate past Editor in Chief of Head & Neck: Journal for the Sciences and Specialties of the Head and Neck, a position he held for more than 13 years. He is currently an Associate Editor for Cancer and serves on the editorial boards of Cancer, Journal of Clinical Oncology, American Journal of Rhinology, Head & Neck, and Clinical Medicine: Ear, Nose and Throat. Dr. Weber’s clinical interests are nonmelanoma skin cancer, thyroid cancer, and therapeutic strategies for organ preservation.